Properties in Visp District average 4.6 out of 5 stars. 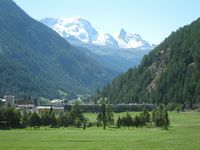 Property 19: Saas Fee - Spacious chalet apartment with outstanding views and quiet location. Superior Apartment With Garden And Stunning Views Of Matterhorn. Fast Wifi. 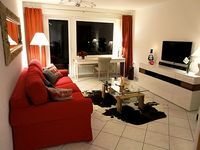 Property 22: Superior Apartment With Garden And Stunning Views Of Matterhorn. Fast Wifi. Property 26: cosy property in a chalet with authentic atmosphere.